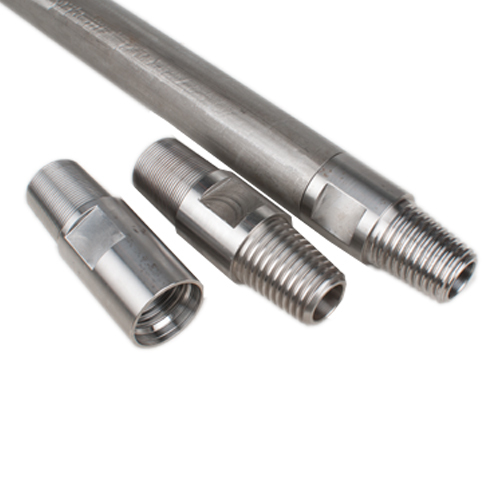 These drill rods are manufactured to DCDMA and Swedish Metric standards. The rod tube is manufactured from high quality seamless carbon steel of high strength and uniformity. 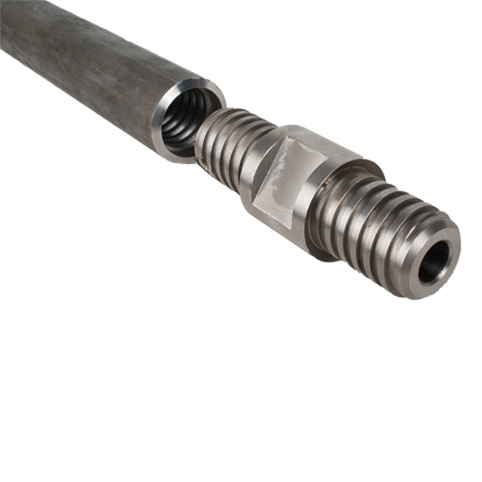 The male-threaded couplings are manufactured from heat-treated alloy steel for maximum toughness and wear resistance. 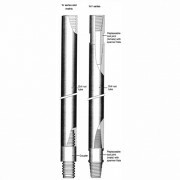 The rods are suitable for rotary drilling applications. These drill rods have replaceable male and female tool joints screwed into the rod tube. 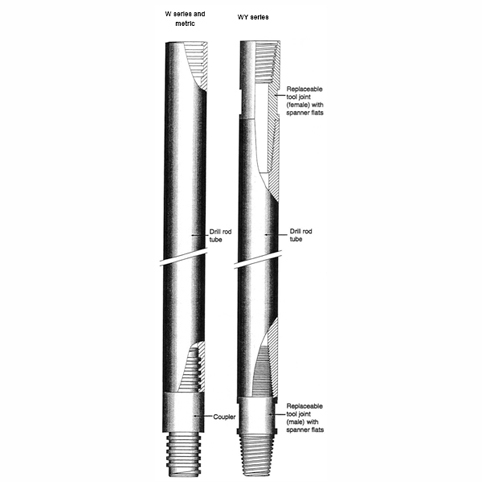 The tool joints are manufactured from heat-treated alloy steel for maximum toughness and wear resistance. The rod tube is manufactured from high quality seamless carbon steel of high strength and uniformity. The rods are suitable for rotary drilling applications.